Bethany Chambers planned for a home birth but ended up transferring to the hospital at the end of her 24 hour labor due to decelerating heart rates from her baby. Once at the hospital, she still had an un-medicated, no intervention birth. However, 8 hours later, she had a severe hemorrhage and lost about half her blood. But as a nutritionist, she had worked hard to ensure her body was in optimal health so miraculously, she didn’t have to have any blood transfusions. She discusses the MTHFR gene mutation as a possible factor in the hemorrhage. She came away from her birth feeling very grateful and empowered. Today’s episode is sponsored by Preluvi. Preluvi is a family owned, holistic skin care company. 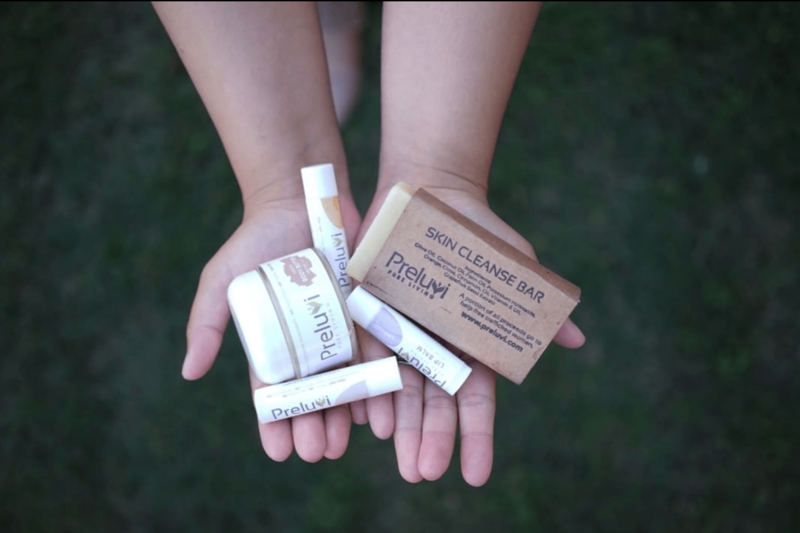 Their mission is to provide the whole family with safe, toxic-free skin care products that actually nourish your skin. Co-created by a nutritionist, they believe if it’s not pure enough to eat, it shouldn’t be going on your skin. With that in mind, they have crafted an incredible line of body butters, face butters, lip balms, and soaps. Use the code birthhour for free shipping at preluvi.com! We are also giving away one of their “Essentials Bundles” which includes body butter (your choice of scent), face butter (unscented) and lip balm (your choice of scent) over on @thebirthhour Instagram account. I love Preluvi’s body butter! In case any body with skin issues is watching this try out Grandpa’s pint tine soap. It’s a bit over whelming in smell but it’s skin benefits are soooo amazing!! I too had pupps and this is the only thing to ease it! !